Todays fast tracks have been sent. As promised you're getting a liquidity report, today the 16th of may, which is exactly 6 months after we did our never used before "Friendly Sw@p". I would like to start off with the only things that could be thought of as "negative" in this report, followed up by all of the great things/progress we made. 1. When we sw@pped, we never mentioned how much debt we already had, we were in fact running behind our office bills about 3 months. This wasn't mentioned during the sw@p, for obvious reasons. 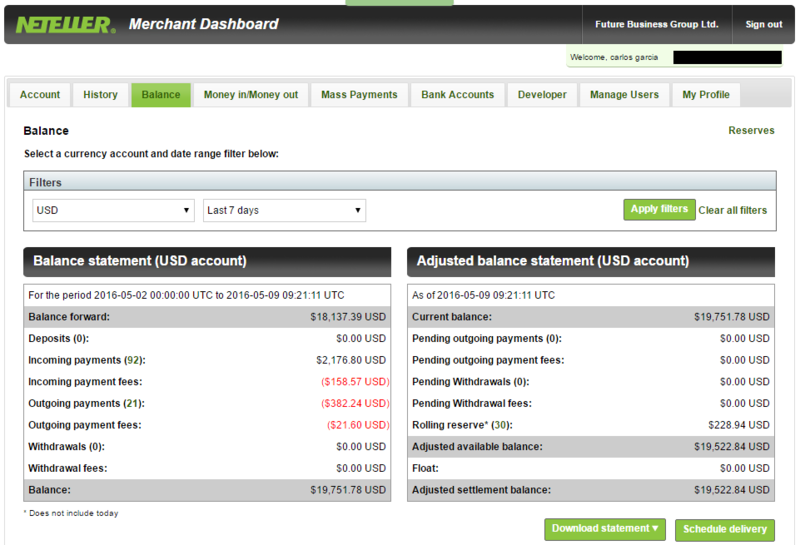 I am very proud to announce that we're no longer behind on our payments! A) Jo had a deal with one of the programmers regarding skrill payments. The programmer would receive the skrill deposits, add it to the user's balance and deduct the total of the office bills. After Jo got kicked out, the programmer failed to do so and it piled up to quite a considerable amount of money. I found the breach, made a deal with the programmer and deducted the skrill total of the upcoming bills. Now it's all accounted for, which is what the "skrill compensation/skrill" means on the expenses report. B) The offerwall accounts were still connected to the Paypal account. 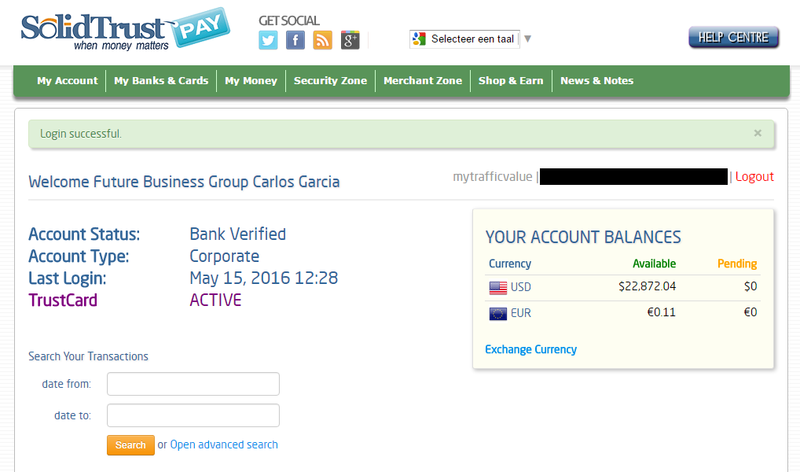 Even though Carlos was sure it was impossible to send cash to the paypal account, the offerwalls were able to do so and the money got frozen. This illiquidity has also been accounted for. Whatever money comes in, I spend. The development funds are not meant to pile up and go to waste, I use it in the most efficient way to propel our business forwards. I am constantly adapting the costs/bills to what we can afford during that month. We came back from a 3 month delay in bills to having all bills paid within a normal time period. Lately we have a bit more budget, so we hired Remedcu, Jeroen(Ratje2000), spent a bit of cash on marketing (Which was totally worth it for PPMG). But we are not only increasing our costs, we are also cutting many costs while trying to run the company just as smooth. A)We made a change to our website security this week, which will save us $2k/month while still being protected against the same threats as before! C) We lowered the salaries of all of our full-time workers/let a few people go. Obviously, I erased some data due to security reasons. Tip: To get a better view of the payment processor screenshots, open this topic on your mobile phone. All in all, we're running a very tight accounting/liquid business. And with the current pace of development funds flowing in, we will be able to continue business as usual. Allthough, I expect business to pick up from now for multiple reasons..
3. BarterMyFunds. If all goes well, this is gonna be the week that it will be launched. 5. Log in ads/Forced view etc. Brainy and a few others have shown me great interest in using these and other advertising products. 6. We are always building more revenue streams, which are already paid for and most of them got no running costs.. So as time passes, income goes up, while our running costs remain about the same. EVERYTHING IMPROVED COMPARED TO 6 MONTHS AGO! Last week we focused on testing our latest multiplayer game - Texas Hold'em by all the team, as programmer responsible for the task said that it's finished. We pointed several tiny things to fix, like error when user saves settings but did not choose avatar or error when browser window was not visible plater timer stops. Also found a few gameplay bugs, for example error when betting round did not ends when player behind dealer goes all-in and this amount is called by other players. Furthermore we added information about min and max stack on validation error while sit in, added admin space to review tables on controversial issue(s). All bugs were ironed out, as you can see, several days of testing was necessary, as it's impossible to test all cases, gameplay etc by one guy only. Finally, we integrated the game with PV system and database to keep records and history. We can go live in our opinion, however now there's time for management to test it and send us a feedback. In the same time we were taking care of captchas - we built captcha helper to easily manage captcha systems. We implemented it into ad viewing and login page. After that we added captcha to registration page on PV and MTV. It sounds pretty easy, but we also had to rework both mobile apps. We were also able to check Jacks or Better game on PPMG casino, it looks like everything works fine, but we're waiting for any reports saying it's not. We also started working on login ads task, got familiar with specification and prepared an approach. Just a suggestion regarding bitcoin wallet being blockchain, the one who had the most hacks so far, it would be a great idea to use a hardware cold wallet although this can make withdrawing time slower, but is a sure thing the bitcoin wallet never gets hacked. Just my suggestion. We will keep updating the blogs as soon as possible when there is new information which have to be explained. The blockchain wallet isn't even showing on our websites anymore, but some people on pv still use it..
Well done Marc (and all FBG team)! When I look at these numbers, I see that you use available funds carefully, spending only what you can afford to spend and taking care that you always have enough money for current expenses. If we really have enough liquidity to cover all user balances (+ bids and one week FTQ payments), then we really have nothing to worry about. Of course, it wouldn't be the case if you would have not cut all possible expenses during our most difficult time ever, which is finally behind us. I'm looking forward to see where we will be in a year from now, because the future looks bright. marc & the team! thx for this great work in the last year! you keep mtv and pv alive! When I see this numbers I am wondering why people aren't buying rp's. The price is really cheap when we take the products + earnings into consideration. @freak300, I'm at the moment waiting for my bitcoin transaction to get enough confirmations to get my funds in and to be able to buy more of these cheap rp's! This is what a real and serious company should do, not the trash we were accostumed to seeing before. I think I don't miss any detail, everything what I need to see is shown. For me it has fully transparency. Obviously many companies might make up their numbers. But I doubt this is the case. PPMG results will be added later today, PM is currently in maintenance. there are some problems with fast track? 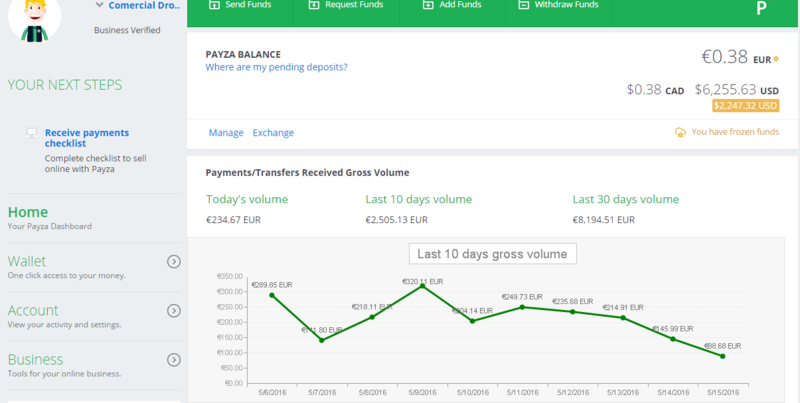 one of my investment yesterday had 4.9k debt and today too, but should be around 4k because the negative days has finished, am i wrong with math? I must say I'm really, really happy with the progress we have made so far. Going from almost bankruptcy to a liquid company, with a bright future ahead and full of hope from many users in just some months... sound like a miracle, isn't it? I'm investing everything I can here and buying as much RPs as possible for the future, I have been in these online business for a long time and after so many deceptions, MTV has been something that changed my life, and I know it has changed many members' lifes too. I have been a mod for almost 2 months now, and I can tell everyone I have had a closer contact with Marc and some of the staff, and I can assure you they all are really nice and honest people, and everyone is working really hard to make this company as huge as it can (and will!) be. But, I haven't been a mod for a longer time, and I always tried to learn and help with everything I could, because that's why we are here, because of nice people always willing to help and invest in this crowdfunding company, because without every single user that helps, invests and promotes, we wouldn't be here. That's why I would like to thank everyone for making this dream happen, from the staff to every single user of this awesome community that helps in any way they can, together we have showed everyone that it is possible, that we can create something beautiful in the right way. Likely the first investment's already paid amount is not properly taken into account in the debt estimation, i.e. seems like Marc's investment stat got bugged, so we'll look into it. Hey! Got a lil question. The exchanger will allow to buy BTC directly? I want to make a deposit but usually what I do is give the money to an exchanger, then it gives me the BTCs and then I send it to MTV. With BMF will I save this step? It might look a bit silly question but I'm not into this and Im pretty lost. Thanks in advance! The exchanger will be an exchanger. Not have a direct link with MTV/PV. So even if you'll exchange for bitcoins on it, you'll still have to send it to MTV separately. 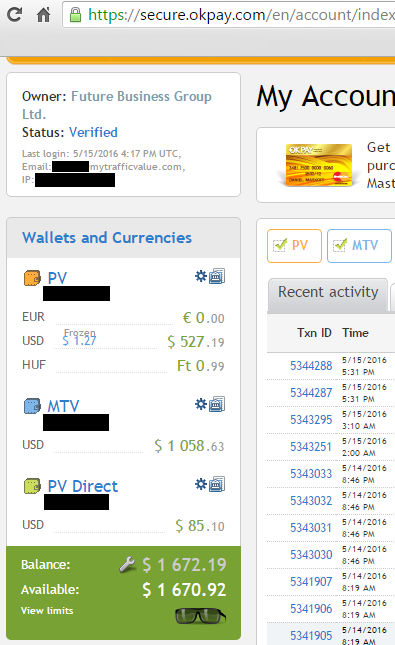 Or simply when exchanging, set your BTC address to be your MTV deposit bitcoin address. In that case you'd exchange "directly". But that you can do with any exchanger really, now that each user has a fixed deposit address on PV/MTV. I was testning BMF and its fast. fastest time was 15 minutes I belive.